In London, Ontario on February 3rd, the third place Niagara Whalers took on the twelfth place London Lakers in a south division Greater Metro Hockey League match – up. 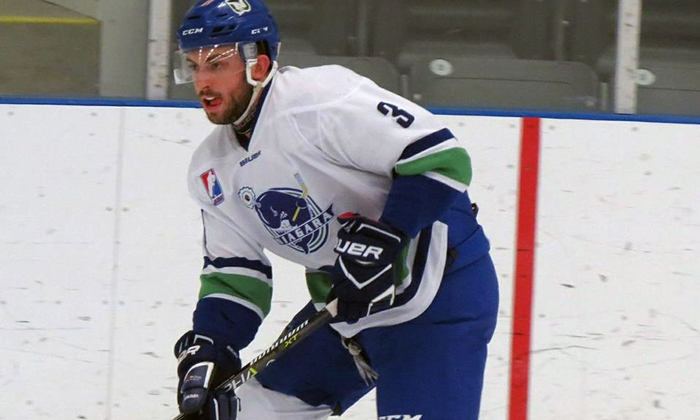 Farano lead the Whalers with sinking two goals and adding eight assists in Niagara’s 15 – 1 win over the Lakers on Saturday evening in London. Jakob Reeves followed with two goals and three helpers in the Whalers 30th win of the season. David Christopher, Mitchell Chasetlet and Nick Pastorious combined for a total of 12 points with Christopher and Chasetlet scoring three goals and contributing on one each while Pastorious netted two goals set up two more the Whalers win. Jordan Pitts added one goal and had two goals for Niagara. John Swiatek, Charlers Jensen and Erik Peavey each registered two points in the Whalers win with Jensen and Swiatek both having two helpers while Peavey scoring one and contributing on one goal. Six players had one point a piece with Patrick Desjardin, Sam Martin, Elias Berglund, Jesse Masterson and Logan Aprea each adding one assist along with Frolov Mikhail sinking one in Niagara’s 15 – 1 win over the Lakers. 17 year old Danil Butneko earned his third win of the 2017 – 2018 season in the Whalers win at the London Sports Park on February 3rd. The Whalers will now have seven days to prepare for the second place Kingsville Kings in a 7:30 p.m start in Tilbury, Ontario on February 10th in a south division match – up.